Over the Rainbow: An exciting new development! Super duper congrats!!! That is so awesome! YOu deserve it as your layouts are great!!! Wow, very impressive! I'm so happy for you, but it's really no surprise...your layouts are always so lovely! Oh my! this is exciting news and I think I will have to make a purchase !! Congrats Keshet! Huge congrats! What an exciting opportunity! So happy for you. Congrats, Keshet! SO awesome! Can't wait to see it! CONGRATS KESHET!!!!!!!! that is fabulous!!!!!! That is such great news :) Congratulations! That is so cool girl - congrats!!!! Yay Keshet!!! This is SUPER DUPER exciting! WOOP-WOOP!!! Cograts Keshet! Keep us posted about where we can get hold of that awesome looking book - right now I have just ordered the CK Creative Spaces one - can't wait to get my paws on that!! Is it just me and my computer or is anyone else not seeing the sneak? I can't wait for a copy of the book! It's my own computer! No worries Keshet... .
congrulations! 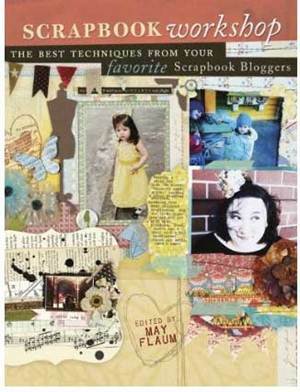 this book looks awesome, my fave is the basic design ebook for ella by lisa dickinson. I think it's pretty much the scrappy bible when you first start out lol. I have to say I love all of Ali E.'s books!